the vermis is the tan region above. midline of the cerebellum; it separates the cerebellum into two cerebellar hemispheres. 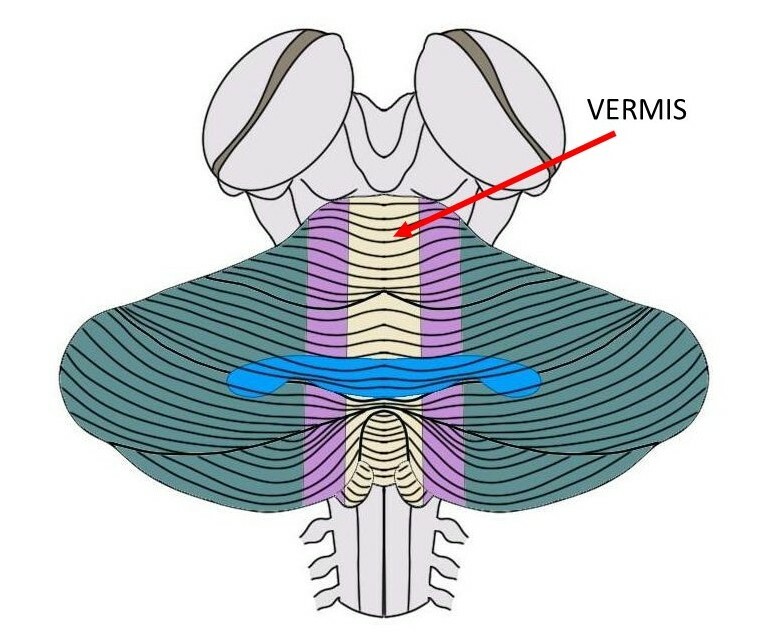 The vermis is thought to be associated with the ability to maintain upright posture.